After researching 71 joint supplements for their safety certifications, quality of ingredients, and consumer feedback, we found four supplements for your pets. Whether your furry friend would prefer a jerky treat or a powder supplement, there’s something out there for them. We recommend consulting with your veterinarian before giving your pet any kind of supplement. Currently, there are no official government regulations for the safety and quality of supplements. The U.S. Food and Drug Administration (FDA) doesn’t currently regulate human dietary supplements, let alone ones for pets. So we turned to two well-known and trusted third party certifications to help us gauge the quality of supplements — Consumer Labs and the National Animal Supplement Council (NASC). Consumer Labs ensures that the joint supplements contain the amounts and ingredients they claim to. The NASC certifies supplement companies that are committed to providing high-quality products and have undergone a comprehensive quality audit. We started with 71 products that were certified by either Consumer Labs or NASC. Glycerin - this was the ingredient we ended up cutting for the most. It's derived from petrolatum, and the FDA has raised concerns about the methanol contamination from its inclusion. Garlic - any member of the Allium plant genus (leeks, scallions, chives, onion, etc.) can be toxic to cats and dogs. If eaten, even in small amounts, over a long period of time, it can cause damage to red blood cells (and thus the potential for anemia). Wheat and corn - Used simply as a filler ingredient. It offers unnecessary carbs that aren’t natural to an animal’s diet. TBHQ - A synthetic preservative that isn’t very cat-friendly. The Center for Science in the Public Interest recommends (based on animal studies) that this preservative is avoided. Sodium benzoate - A synthetic preservative that can become benzene (cancer-causing chemical) when combined with citric acid or ascorbic acid. We opted for products that used natural preservatives like vitamin E, citric acid, rosemary, sage, or clove. We also gave preference to supplements that kept the ingredient list small. After the key ingredient that targets joint health and a few extra vitamins, everything else is filler and flavor. Thus, we cut any joint supplement that had more than 20 ingredients. One product, Nutri-Vet Hip & Joint Biscuits for Dogs, had 44 ingredients in total (over half of which we couldn’t pronounce). That left us with 12 joint supplements to further research. All our research told us that there simply isn’t enough scientific evidence that joint supplements work. Because of the lack of government regulation, anyone could sell a supplement (and many veterinarians do create their own brands). 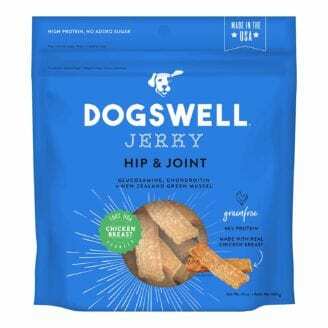 So after vetting products for safe and high-quality ingredients, we relied on consumer feedback to help gauge effectiveness in stimulating joint health, and whether animals will enjoy them. For example, a 4.5-star rating from over 3,000 reviewers was worth more than a five-star rating from only one review. This told us it that many pet owners had seen continued success with that supplement. We also looked closer at the type of feedback people were leaving — like if customers reported that their veterinarians noticed success, or complained that the tablet was too big for their dog to swallow. 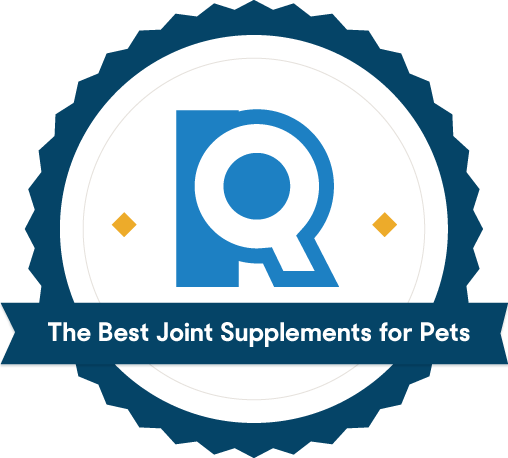 In the end, we had four favorite pet joint supplements with safe and effective ingredients, quality certification, and tons of great feedback from people who’ve used and loved the product. A chewable tablet with great customer reviews and three effective ingredients. Of our two quality certifications, Consumer Labs was more selective (they only endorse about 8 products). 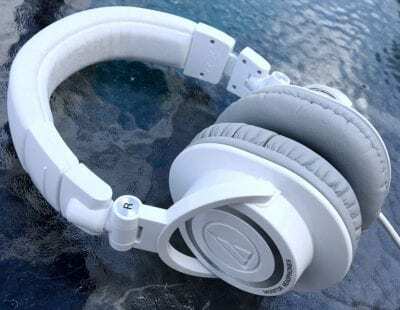 Their list of tested and approved products typically undergoes a more rigorous quality check. The Cosequin DS made that exclusive list by containing the number of ingredients it claims on its label, and for not exceeding potentially harmful amounts of any ingredient (like lead in glucosamine). Because of this endorsement, we’re confident that Cosequin DS is a safe and high-quality product. The Cosequin DS is a chewable daily tablet. Most customers report their canines easily take the supplement either on its own or buried in an enticing treat like peanut butter. Each day, dogs that weigh 15 lbs. and under should take half a pill, 16-30 lb. canines should take one tablet, 31-60 lbs should take two tablets, and dogs over 60 lbs. Should take three chewable tablets. This is just for the first 4-6 weeks of use; after that, the supplement switches into long-term maintenance mode and the dosage and frequency will reduce. The Cosequin DS Plus with MSM has earned 4.5/5 from over 4,000 reviewers. Because there are no guarantees that joint supplements work, this kind of positive feedback and loyal customer base is a great indicator of success. Cosequin has three key ingredients all working to improve your dog’s joint health; glucosamine hydrochloride, sodium chondroitin sulfate, and MSM (methylsulfonylmethane). Glucosamine helps stimulate the growth of cartilage cells while chondroitin sulfate inhibits cartilage-destroying enzymes. Together, the two ingredients have been shown to decrease joint inflammation. MSM is a source of sulfur, a necessity for collagen production (and maintaining healthy inflammatory response). Some supplements have just one or two of these ingredients, but Cosequin combines all three for a higher likelihood of success. Despite being only for canines, we named Cosequin DS “Best Overall” because it was safe, effective, and appreciated by pet parents more than any of our other contenders. The dosage amounts for this chewable tablet are a bit too high for most felines, so pet owners looking for a cat supplement will have to try one of our other cat-friendly picks. Some other products we researched work for both animals, but if your home hosts an older cat and dog with joint pain or inflammation, you’ll have to buy two separate supplements for them. A healthy jerky treat that will support joint health. 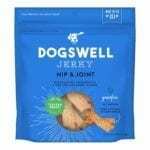 The Dogswell Hip and Joint Jerky is our second pick that was certified by Consumer Labs. Like we discussed earlier, Consumer Labs is the most rigorous certification for quality and safety of ingredients. In its review of Dogswell Jerky, Consumer Labs noted it contains no wheat in its ingredient list. We liked that too, as it cuts down on unnecessary fillers and carbs. Dogswell serves its supplement in the form of a dog treat, a bacon-shaped jerky that canines are sure to devour. Some customers on Chewy.com warn that the treats can be hard to break into smaller treats for smaller dogs. We loved the great list of ingredients that Dogswell offers. Its 9 ingredients support joint and overall health with additions like vitamin E, omega 3 fatty acids, and clean protein from hormone-free chicken. 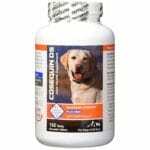 Like Cosequin, Dogswell uses glucosamine and chondroitin to support healthy joint function. Typically, biscuits and treats for dogs will use wheat, grain, and soy fillers and artificial flavors. You won’t find any such additive with the Dogswell jerky. Because the Dogswell supplement is a jerky treat, it’s higher in calories than our other tablet choices. It’s formulated for more occasional use as a joint-friendly treat you give your dog a few times a week. Depending on your dog's size and joint discomfort, you may need a regular daily supplement in addition to the jerky. All-natural and organic ingredients make this our favorite supplement for both cats and dogs. Bixbi uses natural antioxidants and superfoods to tackle inflammation and eliminate toxins, and contains seven ingredients in its formula: organic cordyceps, organic reishi, organic agaricus blazei, organic coriolus versicolor, natural eggshell membrane, organic shiitake, and organic maitake. Most of its formula is organic mushrooms and Bixbi assures, “These aren’t the mushrooms you associate with the 60’s and acid rock. These are carefully selected, organically grown mushrooms.” The natural eggshell membrane will theoretically support joint health in a similar way to chondroitin. 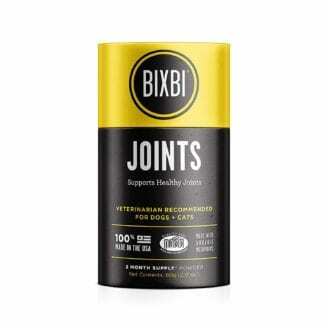 Because Bixbi Joints supplement is formulated for both dogs and cats, you can buy just one product for all your furry friends. And because it comes in a powder form, you can control the dosage amounts for any size pet. Depending on your pet’s palate, you can mix it into wet food or sprinkle it on dry. Customer reviews claim the powder is fine enough that most animals don’t notice it. Its all-natural formula has less clinical evidence of being effective in tackling joint pain for animals. Ingredients found in our other favorites, like glucosamine hydrochloride and chondroitin, have more direct evidence of influencing cartilage growth and inflammation than Bixbi’s all-natural mushroom concoction. 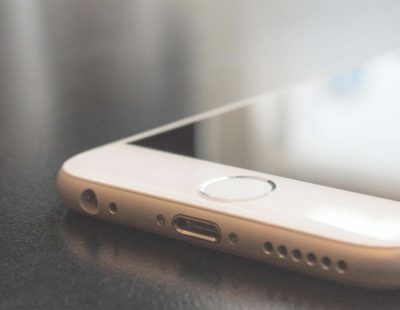 There’s no harm in trying it out, and consumer reviews report positive effects. This two-ingredient liquid supplement is especially feline-friendly. Hip and joint issues are more common in dogs than cats, but that doesn’t mean that our feline friends don't experience joint inflammation and pain, too. 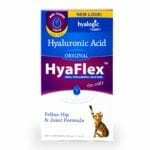 We appreciated that the Hyaflex supplement was formulated especially for cats. Many supplements account for pets 10lbs or more, but cats rarely exceed 10 lbs in weight. Hyaflex breaks it dosage amounts up by 1-5 lbs (½ dropper), 6-10 lbs (¾ dropper), and 11+ lbs (1 full dropper). Hyaflex hosts the smallest ingredient list of all our picks, with just two ingredients — hyaluronic acid and saline. Hyaluronic acid is a natural gel that works to lubricate joints and muscles. As animals age, their bodies struggle to produce enough hyaluronic acid on its own, and thus supplementing can help improve joint health and mobility. This formulation is also great for pets with allergies, especially to fish or seafood as those are very common components of joint supplements. At about 80 cents per serving, Hyaflex is our most expensive joint supplement. Our other favorites come in at 20 to 40 cents per serving (making Hyaflex at least double the price). While you can’t put a price on your pet’s health, it’s a point to consider when shopping around for the best supplement. If your cat is five pounds or less, you’ll be splitting servings in half anyways. Part of maintaining that healthy weight, and encouraging the production of natural body processes, is feeding your pet the best food. That means frontloading protein-based formulas (no mystery meat here), and avoiding preservatives or harmful ingredients. Part of that healthy diet is portion control. It’s best to measure out your pet’s food, rather than let them graze at will during the day from an always-full bowl. Dr. Brucker told us that “Sleeping on hard surfaces can [also] exacerbate arthritis.” To combat this, he says to encourage your pet to sleep on a thick bed or cushion. For example, if you see your pet settling down for a nap on the hardwood kitchen floor, simply scoot them over to the plush rug. If your pet is especially inclined to joint issues like hip dysplasia, be proactive in your prevention. You could consider starting your dog on healthy supplements and vitamins before they actually experience severe symptoms. Chat with your veterinarian about preventative healthcare for your pet. Should I ask my veterinarian for joint supplements? Yes! We highly recommend you consult your veterinarian before giving your pet any kind of supplement. Individual health profiles will influence whether a joint supplement is a good idea for your pet. A prescription drug may actually end up being the best method. 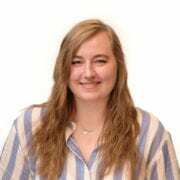 A veterinarian can also advise ways to ease your pet’s joint pain, help walk you through signs the supplement is working, and recommend products that will work for your individual pet. How can you tell if your pet has arthritis? There are a few signs that could mean your pet is experiencing pain from arthritis. For example, if they generally move about in ways that are significantly slower than their typical behavior. 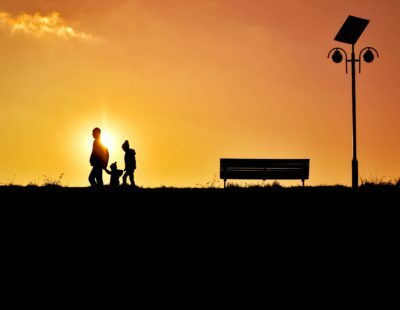 Or perhaps they no longer enjoy going for walks or avoid playtime. Other signs include: grumpier demeanor, inability to settle in one place, limping, frequent licking or biting in joint areas, and loss of weight. Consult your veterinarian as soon as you start to notice a few of these symptoms. Do joint supplements for work for pets? The medical community hasn’t developed a robust profile of evidence to guarantee joint supplements will work. Some ingredients, like glucosamine hydrochloride and chondroitin sulfate, do have more evidence than other joint healthy ingredients. Many pet owners and veterinarians claim they can help, and with a healthy ingredient list there’s no harm in trying it.